What can make a marriage work is surprisingly simple says relationship expert John Gottman. Happily married couples aren’t smarter, richer, or more psychologically astute than others. But in their day to day lives, they have hit upon a dynamic that keeps their negative thoughts and feelings about each other (which all couples have) from overwhelming their positive ones. They have what Gottman calls an emotionally intelligent marriage. 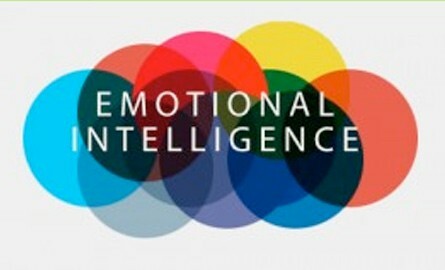 Recently, emotional intelligence has become widely recognized as an important predictor of a child’s success later in life. The more in touch with emotions and the better able a child is to understand and get along with others, the sunnier that child’s future, whatever his or her academic IQ. The same is true for relationships between spouses. The more emotionally intelligent a couple – the better able they are to understand, honor and respect each other and their marriage the more likely that they will indeed live happily ever after. Just as parents can teach their children emotional intelligence, this is also a skill that a couple can be taught. As simple as it sounds, it can keep husband and wife on the positive side of the divorce odds. Toronto couples therapist Larry Borins says, “couples often come to me when they are in emotional distress and there has been a breakdown in communication”. Borins shares that perhaps one of his favourite video clips to show couples during one of his counselling session is called, “It’s Not About the Nail”. Not only is this video hilarious… because its so true, but it also a great reminder about the power of empathy, listening and how to be more emotionally attuned with your partner. For those who practice it, it’s a way to self regulate internal mental distractions. A scientist’s perceives meditation as a means to enhance brain function and cognition in both normal and impaired people. The average person has around seventy thousand thoughts per day which, depending on the thought, could provide someone with plenty to stress over. Meditation is like exercise for the brain, it is a form of training. In doing so, a person infuses their thoughts with love, happiness, and wellbeing. Doing this also helps maintain a balance between the sympathetic and parasympathetic nervous system. There are also different types of stress. There is acute stress, which is more short term, often something recent and anticipated that comes along with its own pressures and demands upon the person. Then there is chronic stress, which as suggests is a lingering and long term type of stress, such as a childhood trauma, poverty, a dysfunctional family, or possibly something environmental. Regardless of which kind it is, stress has a physiology. First it causes tension or possibly panic, then the hormones get in on the act as the body releases cortisol, adrenaline, and epinephrine. The more lasting effects are high blood pressure and the body takes energy away from the immune, reproductive, and digestive systems in order to combat the stress. Enjoy several charts which show the effects of meditation in different study groups. We are much more interconnected than we realize. As technology advances and we are able to actually see into the human brain, we now have proof of this. These are exciting times in the fields of psychology and mental health. Psychologist and relationship expert Susan Johnson, in a collaboration with neuroscientist James Coan, published a study on how the quality of one’s romantic relationship has a direct effect on how the brain responds to fear and pain. The study demonstrated how a type of couples therapy called Emotionally Focused Therapy can actually change partners’ brains as a result. The experiment involved placing an unhappily married woman in an fMRI machine. She was told that she would be given a shock to her foot when she saw an “x” on the screen. Understandably, when she saw the “x,” researchers noted that her brain lit up with all kinds of fear and pain. She reported that the shock hurt. She then held the hand of a stranger, and had the same response – she was scared and it hurt. She then held the hand of her husband, whom she probably wasn’t too fond of at the time; she again experienced fear and pain, consistent with the fMRI. No change. The couples who went through phase one worked on their marriages with an Emotionally Focused Therapist (EFT). EFT has been demonstrated consistently in the research to have higher than a 70 percent success rate with couples in distress. After these couples went through EFT, the wives again went through the experiment. The results were notable. When the woman was alone in the fMRI machine, she again felt fear and pain and the fMRI showed her brain responding as such. When she held the hand of a stranger, the response wasn’t as strong, but was still present. After EFT couples therapy, she held the hand of her husband and received the shock again. Her response was profoundly calmed. The fMRI demonstrated relatively little fear response, and she denied feeling nearly as much pain, she merely thought the shock was uncomfortable. The implication of this study is that healthy relationships literally soothe our brains. 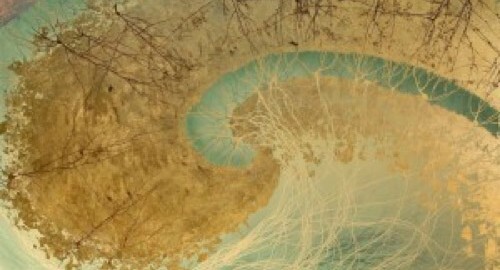 This study is but one piece of evidence about how our mammalian brains are wired to connect with one another to face the trauma and difficulties of life. We are much better off going at life together than alone. Creating secure bonds and staying connected is how we as a species evolved, and how we will continue to. EFT is one of the most evidence-backed forms of couples therapy. In this study, Johnson demonstrates how it can help literally create physical changes in partners’ brains once relationships are repaired. Johnson, S., Moser, M., Beckes L., Smith A., Dalgleish T., et al. (2013) Soothing the Threatened Brain: Leveraging Contact Comfort with Emotionally Focused Therapy. PLoS ONE 8(11): e79314. Johnson, S., Hunsley, J., Greenberg, L. & Schindler, D. (1999) Emotionally Focused Couples Therapy: Status & challenges (A meta-analysis). Journal of Clinical Psychology: Science and Practice, 6,67-79. 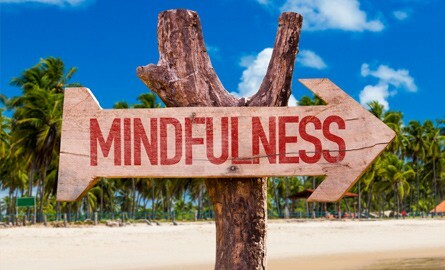 The 3 Minute Breathing Space is a mini meditation for the purpose of stepping out of automatic pilot and reconnecting with the present moment experience. This practice can be very useful when negative thought patterns arise, attempting to push you into a downward spiral of emotional reactivity. By slowing down and turning into the present moment, with acceptance and compassion, this exercise can help you respond more skillfully to stressful situations. More choices become available with purposeful attention and we can start to respond to negative emotions instead of simply reacting to them. Bring yourself into the present moment by deliberately adopting an erect and dignified posture. If possible, close your eyes. Then ask:”What is my experience right now…in thoughts…in feelings…and in bodily sensations? Acknowledge and register your experience, even if it is unwanted. Then, gently redirect full attention to breathing, to each in-breath and to each outbreath as they follow, one after the other.Your breath can function as an anchor to bring you into the present and help you tune into a state of awareness and stillness. Expand the field of your awareness around your breathing, so that it includes a sense of the body as a whole, your posture, and facial expression.The breathing space provides a way to step out of automatic pilot mode and reconnect with the present moment. 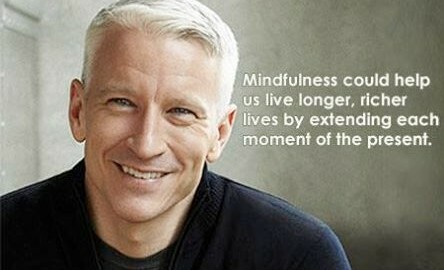 The key skill in using Mindfulness is to maintain awareness in the moment. Nothing else. Here is a great article on Emotionally Focused Couples Therapy, an approach to counselling that really gets to the bottom of the relationship distress. The article was written by Dr.Sue Johnson, a leading expert on Emotionally Focused Couples Therapy. So to help the butterfly, he took a pair of scissors and snipped off the remaining bit of the cocoon. The butterfly then emerged easily. But it had a swollen body and small, shrivelled wings. The man continued to watch the butterfly because he expected that, at any moment, the wings would enlarge and expand to be able to support the body, which would contract in time. Neither happened! In fact, the butterfly spent the rest of it’s life crawling around with a swollen body and shrivelled wings. It never was able to fly. 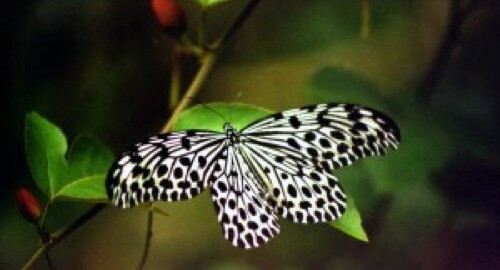 What the man, in his kindness and haste, did not understand was that the restricting cocoon and the struggle required for the butterfly to get through the tiny opening were Nature’s way of forcing fluid from the body of the butterfly into its wings so that it would be ready for flight once it achieved its freedom from the cocoon. Sometimes struggles are exactly what we need in our lives. 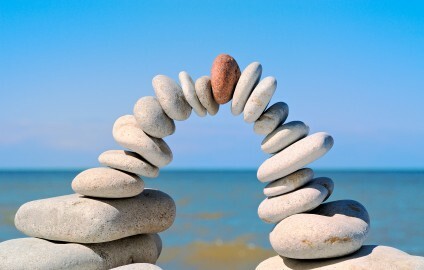 If we were to go through our lives without any obstacles, it would cripple us. We would not be as strong as what we could have been. We could never fly! In December 2011 I had the opportunity to attend a week long externship training with Johnson in Ottawa, where I got immersed in her empirically validated model called Emotionally Focused Couples Therapy (EFT). Emotionally Focused Couple’s Therapy (EFT) is a short-term (8-20 sessions) therapy used to reduce distress in adult love relationships and create more secure attachment bonds. This approach is based on the assumption that relationships have a powerful impact on our mental and physical health. According to Johnson, lovers are regulators of each others physiology and emotional functioning and when there is relationship rupture this can send the couple into distress, panic, depression, trauma and forgiveness dilemmas. The good news is that each partner holds the key to unlock each others pain and loneliness. Emotional presence is the solution. The message of “Hold Me Tight” is simple says Dr. Sue. “Forget about learning how to argue better, analyzing your early childhood, making grand romantic gestures, or experimenting with new sexual positions. Instead, get to the emotional underpinnings of your relationship by recognizing that you are emotionally attached to and dependent on your partner in much the same way that a child is on a parent for nurturing, soothing and protection”. Dr. Johnson teaches that the way to enhance or save a relationship is to be open, attuned, and responsive to each other and to reestablish emotional connection. Love is a very special kind of emotional bond. It is a basic need that is wired into our brain by millions of years of evolution. It is a survival strategy. Our brains identify isolation and abandonment as danger, and the touch and emotional responsiveness of loved ones as safety. When we experience a loss of connection from attachment figures, this triggers “primal panic,” a special set of fear responses. According to the code of attachment theory we all need a safe haven relationship to turn to when life is too much for us and that offers us a secure base from which to go confidently out into the world. This is effective dependency. Dr. Johnson shares that the heart of the matter in couples therapy is not about the arguments that play out around the kids or money. The fighting is really about the key attachment questions that drive a couple’s negative dance. The key questions are: “Are you there for me?” “Do I matter to you?” “Will you turn towards me and respond to me?” Partners often do not know how to ask these questions, and therapists often miss them or even see them as a sign of immature dependency. This externship gave me a new road map for working with couples and a deeper understanding for marital distress. Attachment theory seems to be the missing glue for all the other experiential and humanistic approaches I’ve been trying to piece together and integrate. I believe that this model is a truly revolutionary breakthrough in couples therapy. It has been exciting to bring “Hold Me Tight” conversations into my work with couples and families, as the evidence for its success is significant. Larry Borins MSW, RSW is a psychotherapist in private practice and founder of Mind Health Toronto, a centre for emotional wellbeing. He holds a Masters degree from Wurzweiler School of Social Work, Yeshiva University. 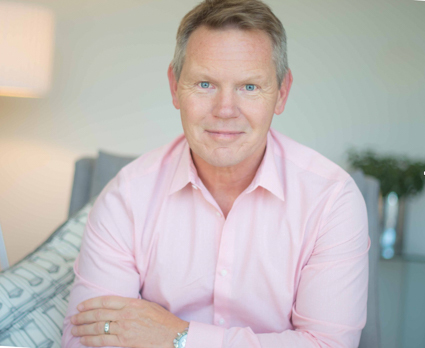 In addition, Larry has advanced training in Cognitive Behaviour Therapy, Mindfulness Based Interventions and Emotionally Focused Couples Therapy and uses these modalities to help his clients get out of the vicious cycles of negative emotions, recognize destructive patterns, find deeper connections, and explore new options for positive change. We’ll go to the doctor when we feel flu-ish or a nagging pain. So why don’t we see a health professional when we feel emotional pain: guilt, loss, loneliness? Too many of us deal with common psychological-health issues on our own, says psychologist Guy Winch. But we don’t have to. Winch makes a compelling case to practice emotional hygiene — taking care of our emotions, our minds, with the same diligence we take care of our bodies. Guy Winch gives a great Ted Talks on the benefits of practicing emotional hygiene. To watch the video click Here: Why we all need to practice emotional first aid. Daylight savings time may have brought with it a series of grumbles – “what do you mean we lose an hour of sleep?” – but it does have one very positive perk: MORE SUNLIGHT!!!! For those of us who experience seasonal affective disorder (SAD), increased light can shake away feelings of depression and enhance our mood. People simply feel better on longer days. Spring promotes hope, happiness and inspires us to “spring into action”. Shake-off the cobwebs and dust from the winter months. It’s spring-cleaning time! We can also “spring clean” our mental and emotional spaces. Do away with the mental debris that no-longer serves you. Whether you notice it or not, your limiting beliefs, skewed expectations or negative internal dialogue influence every aspect of your life. 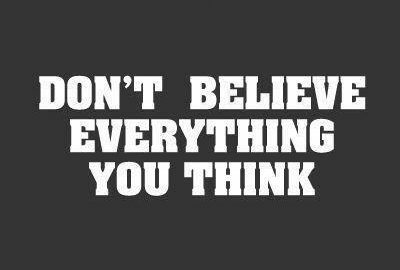 I just wrote a blog post that touches on this topic: Many Bad Feelings Come From Illogical Thoughts. Biased thinking patterns are often linked to stress, anxiety and depression. With the change of seasons comes a chance to try something different. Do you have any new and exciting changes planned for the coming season? The following is a script from “Mindfulness” which aired on Dec. 14, 2014. Anderson Cooper is the correspondent. Denise Schrier Cetta, producer. Matthew Danowski , editor. It is definitely a scary reality for teens growing up in a technologically mediated driven world says Larry Borins, social worker and family therapist. Here is an interview Larry did with Metro News on teens and social media. 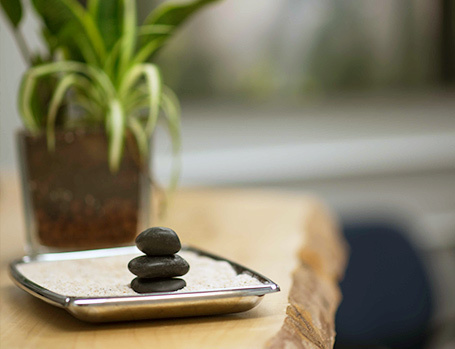 Mind Health Toronto is seeking an energetic and skilled psychotherapist to join our progressive mental health centre for adults, couples, families, children and youth. We are a newly formed collaborative and creative community of interdisciplinary professionals in mid-town Toronto. We emphasize eclectic approaches: humanistic, CBT, Mindfulness Emotionally Focused Couples Therapy, Family of Origin Work and Relational therapies. 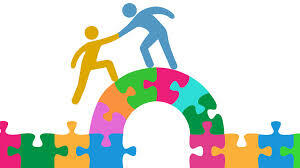 We are a group of experienced Psychologists, MSW’s and Psychiatrists who can provide on site assessment and follow up. We offer a loving and supportive work environment, ongoing professional development, and friendly access to peer supervision; all of this in a beautifully renovated, professional space. I shall fill with _______________(love) (me). Starting therapy can seem daunting. By asking yourself the following questions you can assess with your therapist whether you are ready to take this important step forward. 1. How much of a negative effect has my problem had on my life? 2. How important is it to me to feel better? 3. How willing am I to make getting better a priority in my life? If that is the case – is now the right time for therapy? If not take some time to discuss your options with a therapist. If you do feel that now is the right time, what can you do to help feel more motivated to change? If you scored 50 or more on two or three scales, you are ready to change. You have decided that it is time to change and you are prepared to dedicate some time each day to getting better. Make a plan and start doing it! Over the course of time, many couples need assistance, guidance and sometimes therapy to help their marriage and relationships overcome problems and thrive towards success. Having a successful marriage is one of life’s greatest pleasures and yet nearly 50% of marriages end in divorce. The statistics on divorce rate is alarming and says something about how challenging it is to be in a long term committed relationship. Emotionally Focused Therapy is one of the models of couple and family therapy that we offer at Mind Health Toronto . We want marriages to last a lifetime and we want to be part of the solution. Dr. Sue Johnson is the lead developer of Emotionally Focused Therapy. In August 2016, Dr. Johnson received the Order of Canada Medal of Honour for her over 35 year contribution to the field of marriage and family therapy. EFT is recognized as a valid intervention by the American Psychological Association. The message of her book “Hold Me Tight” is simple she say, “Forget about learning how to argue better, analyzing your early childhood, making grand romantic gestures, or experimenting with new sexual positions. Instead, get to the emotional underpinnings of your relationship by recognizing that you are emotionally attached to and dependent on your partner in much the same way that a child is on a parent for nurturing, soothing and protection”. Mind Health Toronto is seeking an energetic and skilled psychotherapist to join our progressive mental health centre for adults, couples, families, children and youth. We are a collaborative and creative community of interdisciplinary professionals in mid-town Toronto. We emphasize eclectic approaches: humanistic, CBT, Mindfulness Emotionally Focused Couples Therapy, Family of Origin Work and Relational therapies. We are a group of experienced Psychologists, MSW’s and Psychiatrists who can provide on site assessment and follow up. We offer a loving and supportive work environment, ongoing professional development, and friendly access to peer supervision; all of this in a beautifully renovated, professional space. PROFESSIONAL OFFICE FOR RENT – PART-TIME. (2 day a week starting April 1, 2019). If you are interested in being a part of this professional community. We hold our MBCT classes in North York – 3080 Yonge Street (at Lawrence) once a week for 8 weeks. Each class is 2 hours long. There is also a one-day retreat on a weekend at about week 6. Free consultation: before the classes start, we meet with you to help you make sure that the program will be beneficial for you. Training materials, CDs, MP3s and workbooks, are free for participants. The cost for the program is $400 for the 8 week workshop (Those with extended health insurance may be covered for some or all of this cost under psychological services). Larry Borins MSW, RSW is a psychotherapist in private practice and founder of Mind Health Toronto, a centre for emotional wellbeing. He holds a Masters degree from Wurzweiler School of Social Work, Yeshiva University. 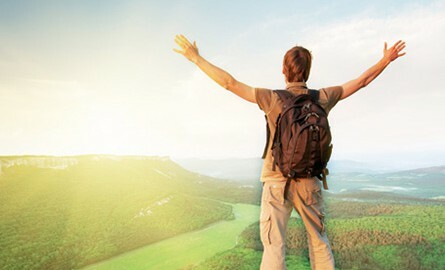 In addition, Larry has advanced training in Cognitive Behavior Therapy, Mindfulness Based Interventions and Emotionally Focused Couples Therapy and uses these modalities to help his clients get out of the vicious cycles of negative emotions, recognize destructive patterns, find deeper connections, and explore new options for positive change. In an effort to better understand the growing phenomenon of Internet Addiction, family therapist Larry Borins, MSW, RSW, will be holding a parenting workshop on the topic of setting limits for video game misuse. Research has shown that household rules about how, when and how much children and teens can use media are effective in reducing media time. In households that have such rules, tweens and teens spend an average of three fewer hours engaged in media. Only a third of all households have such rules, however making this an area where parents could perhaps do more to reduce the ill effects of media use on children and teens. Limit children’s total media time to no more than one to two hours of quality programming per day. Remove television sets from children’s bedrooms. Discourage television viewing for children younger than two years, and encourage more interactive activities that will promote brain development, such as talking, playing, singing, and reading together. Monitor the shows children and adolescents are viewing. Most programs should be informational, educational and nonviolent. It is probably safe to conclude that your own children or grandchildren are currently playing for more than the recommendations suggested above. For most parents these targets may seem entirely unrealistic. Despite this, trying at least to narrow the large gap is worthwhile. Unplugged: Parenting In A Digital Age – Tuesday January 19th, from 6 to 8 p.m. in the group room at Mind Health Toronto. There is a 20$ fee for this group and participants must send an e-mail to larryborins@gmail.com reserve their spot. Space is limited to 15 people. WANT TO BREAK BAD PATTERNS? Beginning April 2016, Donna will be running group workshops. Donna’s wait list has grown and as a result, she has had to turn a lot of people away. Donna believes strongly in her work and therapeutic model, and would like to help people work at becoming better versions of themselves. It is for this reason that she would like to offer these workshops – to spread her model of therapy and to reach more people. The goal of these workshops is for individuals/couples to understand Donna’s therapeutic model and apply it to the areas of their lives they wish to explore, work on, or make better. The model allows people to acknowledge parts of the self and understand how these parts are interrelated and integrated. Through teaching of her model, exercises, and self reflection, individuals will be able to identify the trouble spots in themselves, understand the origins of these trouble spots, and find ways of making them better. Be it for your own individual work, work within a couple context, or even work between adult child and parent, this model can facilitate an understanding that could be blocking your happiness. If the notion of a workshop puts you off, please know that in this format you are free to participate as much or as little as you like. A portion of the workshop is devoted to teaching the model, which allows people to ingest the material with no need for active participation. As people become more familiar with the model, they are free to participate in any fashion that fits with their comfort level. 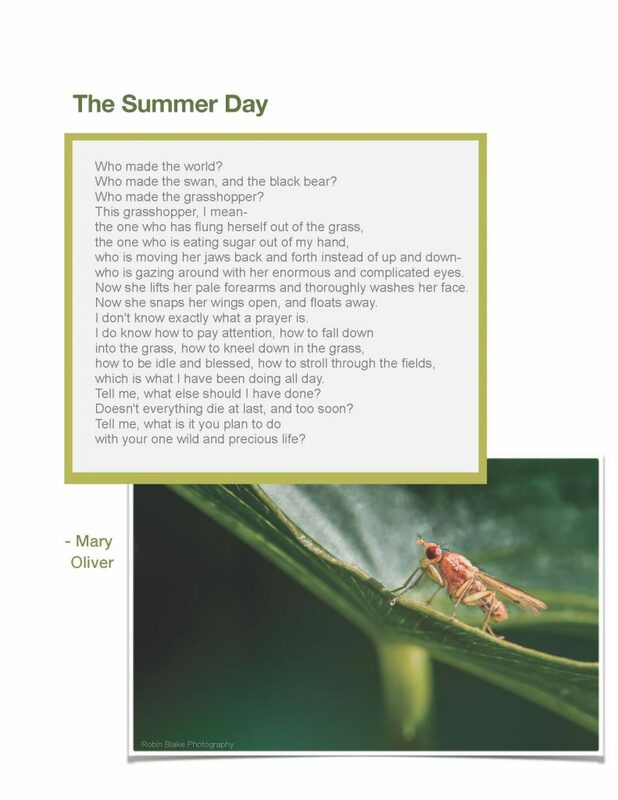 Some may participate more, some may ask more questions, some may do written exercises strictly for themselves; some may wish to share their insights. If you are interested in sharing her excitement, please contact her assistant, Melanie, at 416-784-3370 or melanier1988@gmail.com for more information. As Donna is a licensed Psychologist, a portion of these fees can be covered by your extended health care insurance coverage. DATES: April 11, 18, 25 and May 2nd. TIME: 6:30 p.m. – 8:30 p.m.
Do you find yourself spinning your wheels in pursuit of your goals? Do you ever look at others and wonder why it seems so easy for them? Do you long for less stress and more lasting happiness in your life? If you answered “yes” to any of the above and it has been going on for a while, your problem likely won’t change if you continue as you are. eg, frustrations with your partner, often feeling anxious or confusion about your life direction. Those walls seem real only because you have been staring at them for a lifetime and it is very scary to take down the walls because they seem to protect you too. Very little will change until you do. That’s why focusing solely on your partner’s issues, quick fixes for stress or asking others what to do with your life rarely works. Did you know there is another little known way to achieve your goals that few people have ever been shown? In my workshop series I will be using the latest in neuroscience to show you how you can begin breaking through your own personal wall in a safe way. When you learn how to tap into that powerful part of you – your “Authentic Self”, you will finally actively begin getting more of what you want out of life. After this workshop series you won’t be able to look at yourself or others the same way. Come to the first session. If at that time you are not satisfied with what this workshop series can do for you, then we will refund all your money. Instructor: Dr. Samuel Gerstein is an MD practicing in psychotherapy, a Career Coach and an Author. While spending two decades in Emergency Medicine and treating over 70,000 patients, he witnessed firsthand the toll that stress takes on the mind and body. He began studying the power of the mind. That is when he transitioned into his Dream Career – helping people use their mind to create the life and work they love. Being a new parent is a wonderful, though often stressful life transition – which may lead to difficulties in mood, anxiety and relationships. 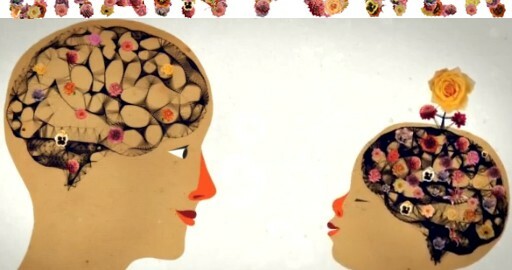 Learning to become mindful can help you reduce emotional stress and also connect more fully with your infant or toddler. Mindfulness has been shown to foster infant attachment bonds and stronger relationships. In this program we will be practicing mindfulness together with your infant through various forms of brief meditations and gentle yoga. These can be practiced at home to increase bonding with your infant and decrease stress levels. Pregnant couples can also participate in adapted exercises. 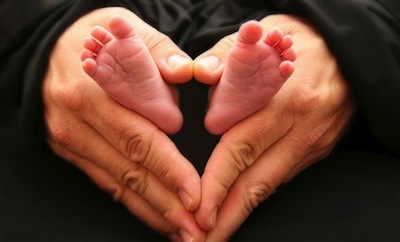 This program is suitable for parents and expectant parents. Everyone is welcome. Fees: $250/adult / $300 for the couple. Those with extended health insurance may be covered for some or all of this cost under psychological services. Dr. Anna Chen, MD, FRCPC is a general Psychiatrist with a strong interest in the promotion of infant/parental mental health. The cost for the program is $500 for the 8 week workshop (Those with extended health insurance may be covered for some or all of this cost under psychological services). Larry Borins MSW, RSW is a psychotherapist in private practice and founder of Mind Health Toronto. He holds a Masters degree from Wurzweiler School of Social Work, Yeshiva University. 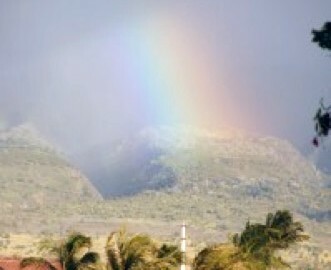 In addition, Larry has advanced training in Cognitive Behavior Therapy, Mindfulness Based Interventions and Emotionally Focused Couples Therapy and uses these modalities to help his clients get out of the vicious cycles of negative emotions, recognize destructive patterns, find deeper connections, and explore new options for positive change. Fees: $250 Those with extended health insurance may be covered for some or all of this cost under psychological services. Donna is very excited to announce that she will once again be offering her workshops in September 2016. Her previous workshops were so positively received that she is even more invested in teaching people her therapeutic model, which can easily be incorporated into daily life. Because her wait list has grown, she wants to be able to extend her services so that more people can begin their work by using her model that she uses in therapy. This workshop will not interfere with any therapeutic work that you are currently undergoing. It will serve as an adjunct to understand your current work. If you are not in therapy, then this workshop is a wonderful way to introduce you to the therapeutic process, be it for individual or couple’s work. *If you are interested in attending one of these workshops, please see attachment for further details and an explanation of the workshops, or contact me at melanier1988@gmail.com for any questions that you may have. DATES: Wednesday February 8 – April 5th 12:45 -3:00 pm. Retreat on Sunday March 5, 9:30 am -3:30pm. To Register please call 416-322-5433 or e-mail larryborins@gmail.com and fax in a referral from your physician (416) 322-5432. We hold our MBCT classes in North York – 3080 Yonge Street (at Lawrence) once a week for 8 weeks. Each class is 2 hours and 15 minutes. There is also a one-day retreat on a weekend at about week 6. Free consultation: before the classes start, we meet with you to help you make sure that the program will be beneficial for you. Training materials, CDs, MP3s and workbooks, are free for participants. Cost for the program is $400 if you register before January 6, $500 thereafter (Those with extended health insurance may be covered for some or all of this cost under psychological services). Are you frustrated about where you are in life? Have you tried to do something about it but find you just end up spinning your wheels? Do you want to feel less stressed and more joy? The Instruction Manual To Your Mind©. Everyone has a mind but few are taught how to use this incredibly powerful tool. This mini-series will reveal its hidden secrets. Be shown a mindfulness method to handle any stress that life throws at you. Dr. Samuel Gerstein is an MD practicing in psychotherapy, a career coach and an author of Live Your Dreams: Doctor’s Orders. While spending two decades in Emergency Medicine and treating over 70,000 patients, he witnessed firsthand the toll that stress takes on the body. Dr. Gerstein began studying the power of the Mind. That is when he transitioned into his Dream Career – helping people use their mind to create the life and work they love. Fees: $200 Those with extended health insurance may be covered for some or all of this cost under psychological services. Susan Hershkop BSC MD FRCP© is a psychiatrist. She studied medicine, completed her psychiatric residency at the University of Toronto and has an academic appointment as a Lecturer at the University of Toronto. Susan has a psychiatric practice at Sunnybrook Health Sciences Centre where she sees patients with mood and anxiety disorders. She has a particular interest in Cognitive Behaviour Therapy and mindfulness. Donna is very excited to announce that she will once again be offering her workshops in May/June 2017. Her previous workshops have been very positively received and therefore she is even more invested in teaching people her therapeutic model, which can easily be incorporated into daily life. The goal of these workshops is for individuals/couples to gain an understanding of Donna’s therapeutic model and apply it to the areas of their lives they wish to explore, work on, or make better. The model allows people to acknowledge parts of the self and understand how these parts are interrelated and integrated. Through the teaching of her model, exercises, and self-reflection, individuals will be able to identify the trouble spots in themselves, understand the origins of these trouble spots and find ways of making them better. Be it for your own individual work or work within a couple context this model can facilitate an understanding to move you through the places you feel stuck. This workshop will not interfere with any therapeutic work that you are currently undergoing. It will serve as an adjunct to understand your current work. If you are not in therapy, then this workshop is a wonderful way to introduce you to the therapeutic process, be it for individual or couple’s work. Gain mutual support, safe expression, education, ways to cope and move forward in a group setting. Connect with people who get it! While many therapists complete the Externship and Core Skills training, they have difficulty making it to EFT certification. If this is your dilemma, please join me for one of my Supervision drop-in groups. I am moving away from regularly scheduled supervision groups because they are difficult to schedule, manage and keep running. Instead, I am creating supervision drop-in afternoons and full days where participants can choose the afternoons or days that they would like to attend. Come for one, two or all them all – it’s your choice! Sign up is on a first come basis. Sue Johnson and her colleagues have stated that the best way to learn EFT is by watching others do EFT and by watching your own tapes. My four-hour Friday afternoon drop-in will consist of four fifty-five minute video presentations where four participants will show their own work for group consultation led by myself. A participant who presents can count their presentation towards EFT certification. There will also be room in the group for three to four auditors (an auditor is a participant who attends the group but does not show a tape for discussion). My Saturday drop-in supervision day will be structured the same as my Friday group and will start in the morning with a live demonstration session. A participant of the group will bring in a couple that they might be stuck with, and I will work with the couple while the group watches in an adjacent room via video feed. If you are interested in one or more of these groups, sign up today by sending an e-transfer of $25 per group to robinblake@torontopsychotherapist.com to hold your spot(s). Include with your deposit a note indicating which group(s) you are signing up for. 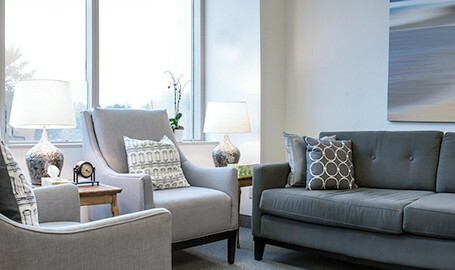 Location: 3080 Yonge Street – Suite 5016 – Mind Health Toronto. * Minimum of 3 presenters/5 participants in total needed. * Minimum of 2 presenters/7 participants in total needed. * I will be releasing March, April and May dates in January if you cannot attend the above groups. Send me an email if you are interested in future dates. Robin met Dr. Sue Johnson, creator and lead developer of Emotionally Focused Therapy for couples, at a Leading Edge Seminar in 2000 and started his EFT journey. He worked with Janet Cleghorn in an EFT supervision group for four years followed by an Externship in Ottawa. He became a Certified EFT Therapist in 2007 and as an ICEEFT Certified Supervisor in 2010. 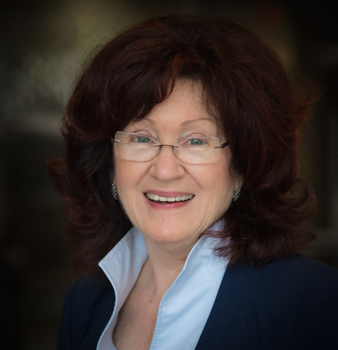 In 2006, Robin co-founded the Greater Toronto EFT Community and began bringing ICEEFT trainer Gail Palmer to Toronto to teach the Core Skills training. In the last few years, Robin has taught EFT at York University for the 4th year social work class and he was invited by Mount Sinai Hospital to speak at their level two trauma clinic about EFT in 2016. Presently he is an adjunct faculty member at the Living Institute of Existential-Integrative Psychotherapy in Toronto where he teaches a two-day introduction to EFT. In August 2017, Robin was invited by Sue Johnson to become a trainer-in-training and is currently working towards becoming a Certified ICEEFT Trainer. 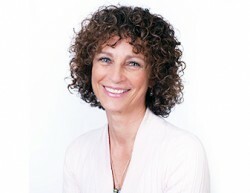 Robin is a Registered Psychotherapist and has been in private practice in Toronto for 17 years. Are you looking to feel better? Are you wondering why you can’t get out of your rut? Learn how to break old cycles and Become Your Best Self. 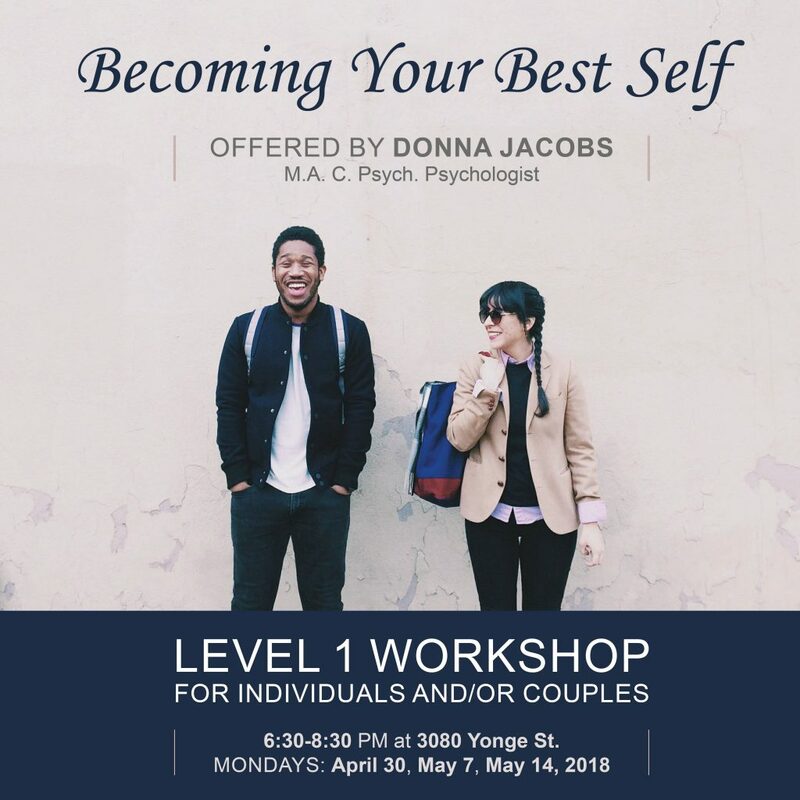 Donna is offering a Level 1 “Becoming Your Best Self” workshop for individuals and/or couples. The aim of the workshop is to learn the basic principles of Donna’s model, which can easily be incorporated into daily life. • Anyone who is considering therapy and wanting to experience it in a non-threatening, teaching environment. Donna has been developing this model for years and she hopes that she can pass it on so that people can gain insight about themselves and make the changes they need in order to become the best version of themselves. *If you are interested in attending this workshop, please see visit her website, or contact me at melanier1988@gmail.com for any questions that you may have. *If you are not interested, but feel that a friend or family member may be, please feel free to pass this email along. *If you wish to be removed from this list, please advise me and I will do so immediately. “Are you ready to break bad patterns, learn more about yourself, and be happy? Donna is very excited to announce that she is offering a Level 1 “Becoming Your Best Self” workshop using her Self-Integration Model (SIM). The goal of these workshops is for participants to learn Donna’s Self-Integration Model and to apply SIM to areas of their lives they wish to explore, work on, or improve. The workshop will explore different parts of the self and how these parts are interrelated and can be integrated. The workshop will include exercises, self-reflection and discussion to help identify trouble spots and ways of changing for greater happiness. Workshops are designed for individuals to learn and participate at their own pace with no expectation to participate in group work. If you are ready to stop feeling stressed, anxious, and burnt out this workshop is for you.